Currently I work for a handmade jewelry company called ALV Jewels out of Delaware, Ohio. We have a team of 4 workers, who together run an online handmade jewelry business. My regular duties include designing and fabricating handmade jewelry, filling online orders, and helping ship the orders out to satisfied customers. Speedy service, quality of our products, and high customer satisfaction are all top priorities for our team. I was a Server at TJ's in Wooster, Ohio 3-4 nights per week in addition to completing my degree. I was responsible for completing normal serving duties, including taking orders, inputting orders into the system, dealing with money and card transactions, cleaning duties, as well as having excellent team work and customer service qualities. As a student worker for Advancement Services I worked 6-10 hours a week completing data updates to Ashland University's Database. Over the summer of 2014 I worked 40 hours per week, completing projects for the Office of Development. These projects include finding missing people on Ashland's Database, or going through old transcripts to find past students who have not been added to the database. As a Group X Instructor at AU I taught 1-3 fitness classes per week. I taught several types of classes including Yogalates, Cycle & Strength, and Barre, a ballet and dance inspired class. Through Group X I found a way to express my passion for helping people lead healthy lifestyles by exercising regularly. I have earned a Bachelors of Science degree from a didactic program of Dietetics at Ashland University. Ashland's Dietetics program focuses on a strong core knowledge of nutrition, including a heavy curriculum in the sciences. 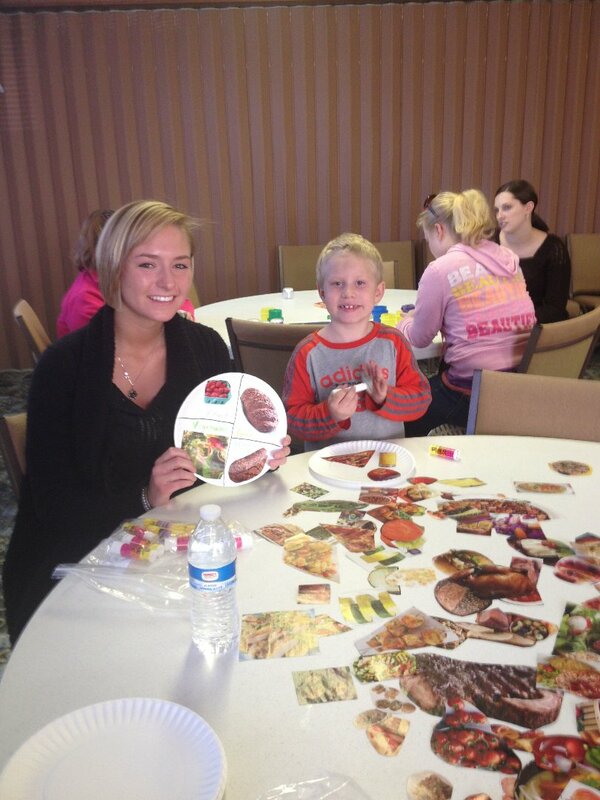 At Ashland University I was actively engaged on campus and a participant in many extracurricular activities. 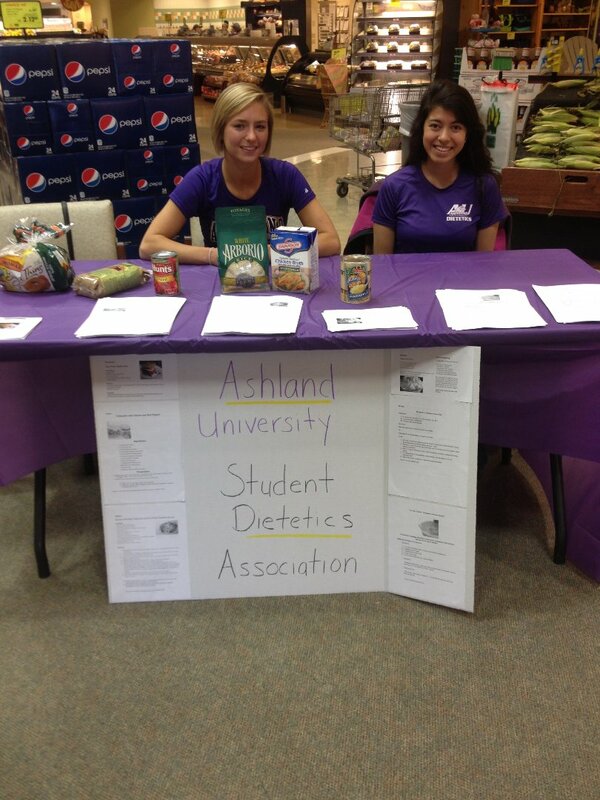 These activities include Women's Club Rugby, acting as editor for the Nutrition Newsletter, and Ashland University Student Dietetics Association, for which I was the Service Committee Chair. I attended The Ohio State University for 3 semesters, seeking a Biology degree, before transferring to Ashland University. At the end of my studies at OSU my cumulative GPA was 3.5. I was also an athlete for The Ohio State Crew Club in the Spring of 2013. These photos include my trip to FNCE 2014, my volunteer work with OSU Extension, and a service project I was a part of at a local grocery store for Ashland University's Student Dietetics Association. Leading is something that comes naturally to me, and I try my best to use my leadership skills in order to help people reach their full potential. The best example of this in my daily life is through sports and exercise. As a group fitness instructor I had to constantly be encouraging my participants to continue on and push harder. Also, as a member of the Women’s Rugby team at Ashland I would to push my team to the next level during every game. I speak fluent French and communicate regularly with native French speakers. I was very lucky and had the chance to participate in a 10 month long exchange program to Belgium following my graduation from High School. In Belgium I had 2 host families, attended school regularly, and quickly learned to speak the French language. I attended the Food and Nutrition Conference and Expo 2014 in Atlanta. This experience allowed me to dive into the Dietetics world and speak to many schools and businesses concerning continuing my education and career. As a Volunteer at OSU extension I worked closely with Darcy Becker, a Registered Dietician working in the field of Community Nutrition. During my week long internship I sat in on middle school nutrition classes, continuing education classes and helped create activities for children's after school and summer programs. During my time working for the Office of Development and Advancement Services at Ashland University, Matt was the Director of Development, and therefore acted as my boss. I worked in the office approximately 8 hours per week during the school year, so Matt was able to mentor me in my work, but also was able to watch me grow as a person during my time at Ashland. Allie started making jewelry in August of 2015 and has since grown a very successful online business. Allie acts as my boss during my day-to-day work and we work very closely together designing and making jewelry. Nancy was my manager during my time serving at TJ's Trio of Restaurants. Nancy gave me instructions and orders for completing my daily duties. Nancy has been with the business for over 30 years. She often gave me praise for keeping a smile on my face and maintaining a positive attitude during busy or challenging times.